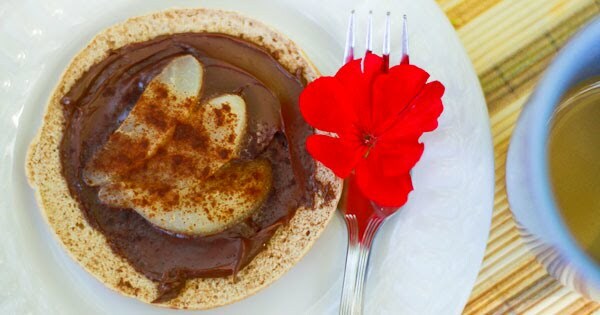 Nutella and pears sprinkled with cinnamon. Tell me something smells better than this. I bring you No-Bake Mondays, the breakfast edition. Granted this is the least time of day when you want to spend time making food, I encourage you to think twice and make breakfasts your best meal of the day. And by best, I mean the one you enjoy the most. I've picked up the habit of jazzing up my morning meals with chocolate—whether it's having a small piece of chocolate with coffee (the French do it all the time!) or sprinkling oatmeal with chocolate chips. Whoever says "it's too early for chocolate" should not be listened to. Nutella and pears on wheat bread spell G-O-O-D M-O-R-N-I-N-G! It reminds me of quiet summer mornings with sunlight streaming from the kitchen window. Blissful. Enjoy with milk or coffee. 1. Spread nutella on toast. 2. Garnish with peaches and sprinkle with cinnamon. 3. Enjoy at room temperature or warm it up in the microwave (15 seconds or less) or toaster (about one minute). Nutella is my weakness. And I agree. It's never too early for chocolate!